Yes, it takes a team of talented players to consistently win softball games. However, there is a secret that can be taken from quarterbacks and their coaches that can give an average team an edge over the competitors. Is your team using softball wristbands? They are used by most of the college baseball and softball teams today. 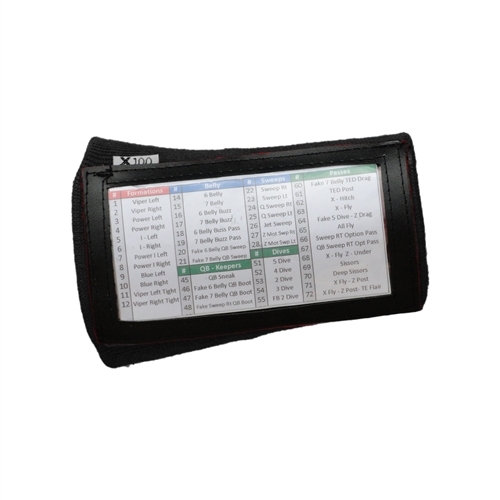 You may know it as a softball wrist coach, softball playbook wristband or wrist coach. Whatever you choose to call the softball wristband it can give you and your team a winning advantage. Some younger players may not be able to memorize the different hand singles and can get confused. Is this going to be an intentional walk? Should they be shifting positions for a power hitter? By instituting your own plays and scenarios, you will keep the competition guessing. You hold up a sign and they look at their wrist bands and know exactly what to do. This builds confidence. With each play that is executed perfectly, each team member walks a little taller and his or her head is filled with the winning spirit. These little devices are not hard to use at all – and they work for baseball as well as softball. They are not flimsy and they are designed to last an entire season. Usually they are available in small and large sizes, but small is suggested for softball players. Because of the material used in the design, the band and printing are safe from moisture. However, they can be washed.